Sumptuous luxe velvet sofas which add real statement in any room, from classic styles; in sophisticated off white tones to very dramatic styles in rich opulent tone of green and turquoise. 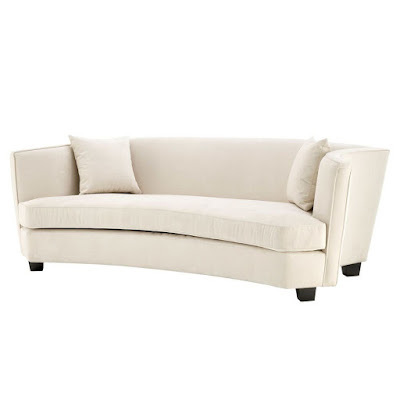 Eichholtz sofas have a timeless, restrained elegance. Houseology have a huge selection of Eichholtz furniture and accessories for you to choose for your home. Serene, sophisticated and stylish, this designer sofa by Eichholtz features a formal design inspired by Parisian townhouse seating. Indulgently upholstered in sumptuous off white velvet fabric, this sturdy 3 seater sofa features a hardwood construction with intelligent inner of foam, fibre, webbing and integrated suspension. 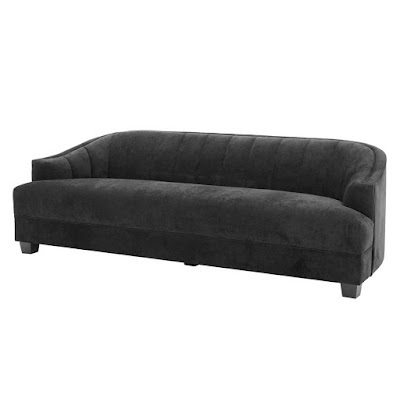 Promoting a sink-in comfort which regains its immaculately plump proportions between uses, the sofa is complete with black stained wood legs for added depth and dimension.With a rippled back rest, the sofa is complete with a trim of antique bronze nails creating a dynamic outline effect. Exquisitely designed by Luxe interior experts, this shapely low back sofa collection exudes a feeling of timeless retro appeal. 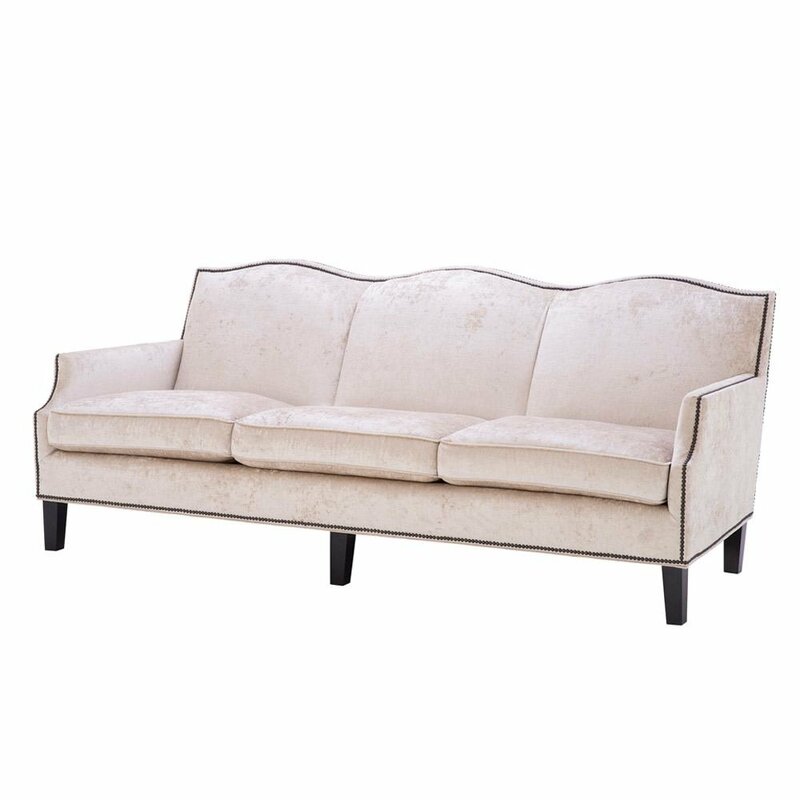 In a 20th century inspired style, the curved seat back features matching linear stitched detailing to create a subtle fluted effect. Seating 2 or even 3 guests comfortably, this designer sofa collection is developed to meet the demands of everyday use. A hardwood integral frame strengthens the design as a foam fibre filling creates an indulgent sink-in seating experience. Spring suspension then ensures the pristine proportions plump firmly into shape after use as wooden feet complete the aesthetic in style. Formal yet sumptuous and relaxed, this contemporary 2 seater Eichholtz designer sofa features an irresistible all over grey velvet upholstery. Brass legs then add a metallic contrast as the exaggerated curves of the seat and back promote a cocooned, comfortable seating experience. Tightly upholstered for an immaculate aesthetic, the sofa features integral webbing, suspension and foam fibre filling for a sink in seating experience which regains its plump proportions between uses. Seating 2-3 guests comfortably, this indulgent designer sofa features a curved serpentine seat back silhouette with exaggerated corners for a heightened sense of grandeur. 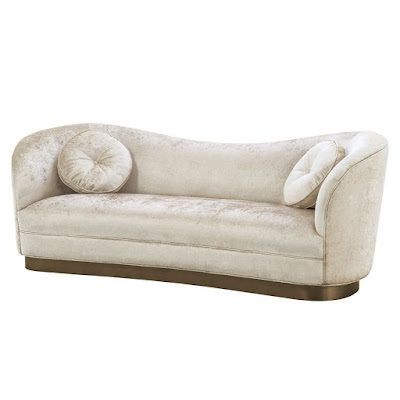 Feminine with an off white crushed velvet exterior, the inner of the sofa is strengthened by a hardwood frame and filled with a foam fibre composition which encourages a sink-in comfort. With integrated suspension, the tightly woven exterior plumps firmly back into shape between uses making this a great accent for busy entertaining areas.Quaint bolster cushions then complete the look adding an eclectic vintage touch. Tufted button back detailing creates a fantastic quilted effect as smooth sides and backing add a flawless contrast. Elevated by black wooden legs, the interior frame features a strong hardwood construction with integral foam fibre padding for a firm and comfortable seating experience. 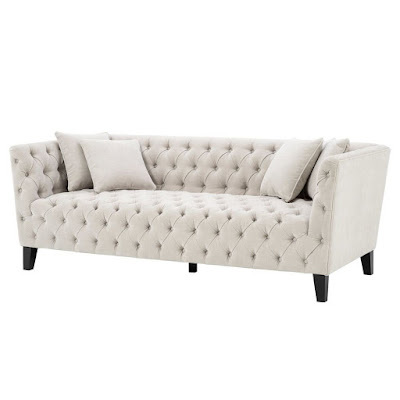 A lovely accent for formal reception areas or laid back Luxe lounge settings, this stylish designer sofa is compete with scatter cushions for ultimate relaxation. 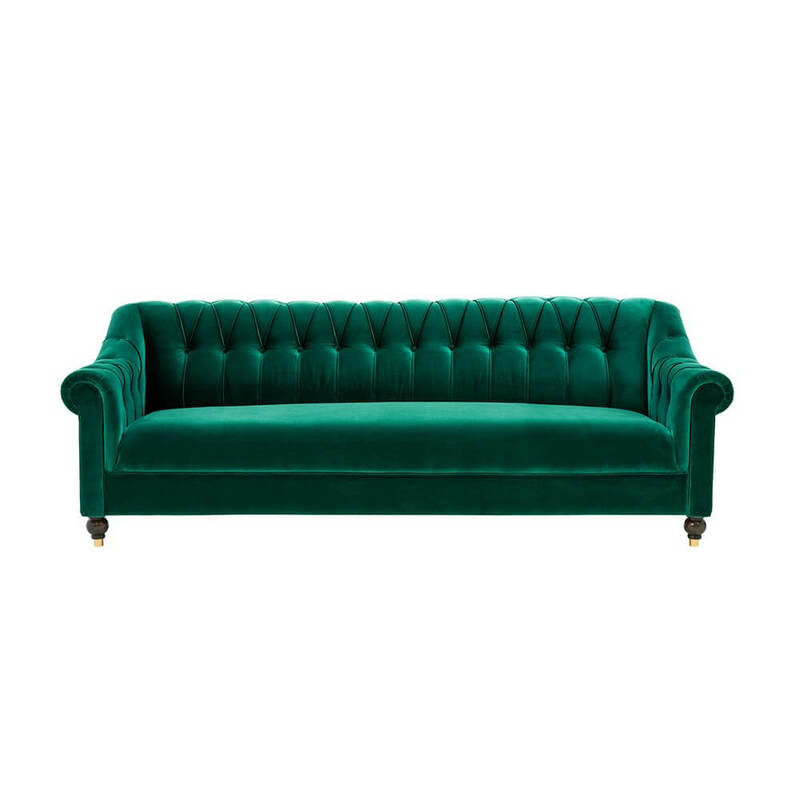 Inspired by the retro vintage allure of classic rolled back Chesterfield sofas, this designer sofa has been updated for modern living with an exquisite all-over green velvet upholstery. Comprising a strong handcrafted rubber wood frame, the sofa is ultra-padded with a foam fibre filling and supported by a spring suspension for a sink-in seating experience which mainains its elegant proportions between uses.Firm yet with a sink-in indulgence, the gorgeous green velvet exterior is accented with flawless tufted detailing across the seat back for added depth and dimension.Brown wooden legs then support this 3-seater sofa as glamorous gold caps add a touch of metallic allure. 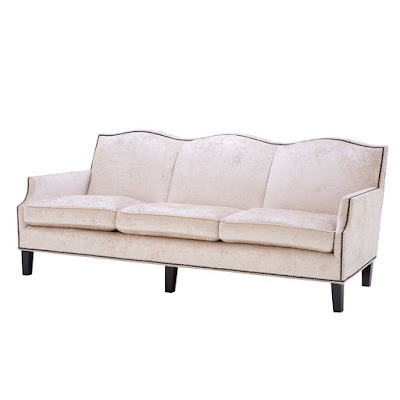 Inspired by the furniture shapes of Art Deco design schemes, this unique designer sofa features an expressive concave design. Ultra-padded for a sink in comfort which regains its plump proportions between uses, the hardwood integral frame makes this luxury sofa a design which will withstand the demands of daily use. 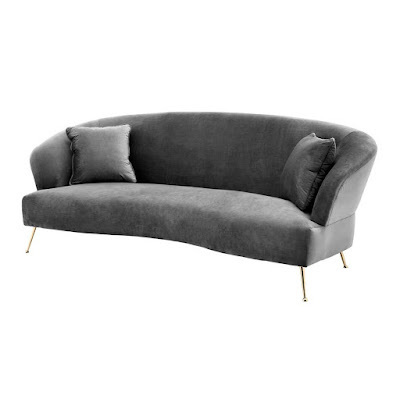 Upholstered in a choice of sumptuous velvet colourways, this flawless exterior of this enviable sofa offers a head turning seating arrangement to remember. WIth scatter cushions for additional comfort and wooden feet for a welcoming contrast. 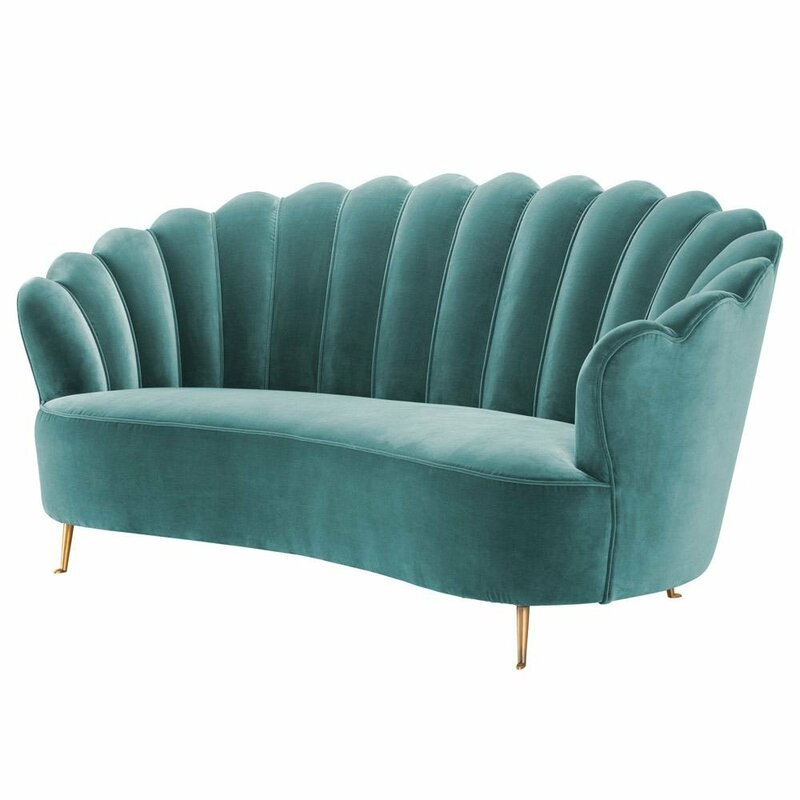 Turn heads at your next stylish soiree with the vintage nostalgia of the Eichholtz Messina Sofa Deep Turquoise Velvet Brass Legs. Inspired by the sumptuous sculptural silhouettes of Art Deco armchairs, this Eichholtz velvet designer sofa features an indulgent exterior of deep turquoise velvet upholstery. Exuding 1920s allure, Messina creates an instant focal point for lounge and lobby areas where is statement scalloped curved and sculptural back make for a seductive style statement to remember.Brass legs add a touch of metallic allure as the hardwood internal frame features an ultra-padded foam fibre filing and suspension for a supreme sink in seating experience which maintains its immaculate proportions between uses.